Twenty-eight men’s and women’s teams will take part in the HSBC Sydney Sevens this weekend. The HSBC Sydney Sevens is the fourth tournament of the men’s HSBC World Rugby Sevens Series and the third tournament for the women. 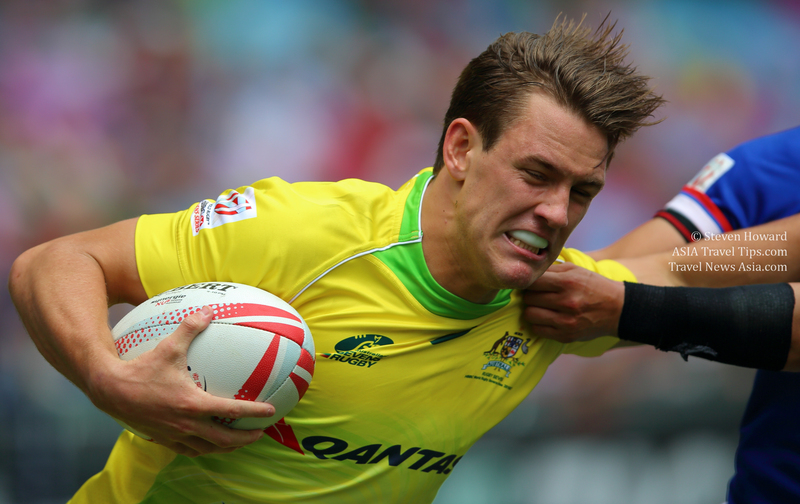 Defending HSBC Sydney Sevens champions for both men and women is Australia who triumphed at Allianz Stadium last year. This year the tournament will take place at Spotless Stadium, in the Sydney Olympic Park. The competition kicks-off at 12:00 local time (GMT+11) on Friday, 1 February when Ireland plays Russia in the women’s tournament. New Zealand leads the series after winning both the Glendale (Canada) and Dubai tournaments and will be seeking a sixth successive title on the Series. Canada and USA lie second and third respectively while defending HSBC World Rugby Sevens Series champions Australia are fourth. The men’s tournament kicks-off at 09:00 local time on Saturday, 2 February when Scotland takes on Japan. Fiji who won last weekend’s HSBC New Zealand Sevens sit atop of the HSBC World Rugby Sevens Series along with USA who has finished second in all three tournaments to date. See latest HD Video Interviews, Podcasts and other news regarding: Rugby, Sevens, Sydney, Sport Tourism.